Eurocopter EC725 Cougar-family rotary-wing at KADEX 2012 defence exhibition in Kazakhstan. Eurocopter also will focus on the company’s important in-country industrial and commercial relationships, which are built on the Eurocopter Kazakhstan Engineering joint venture. 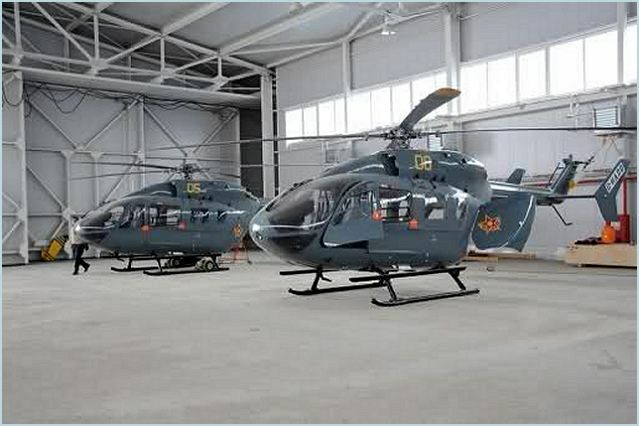 This effort has seen the assembly and delivery of an initial six EC145s for the Kazakh Ministry of Defense and Ministry of Emergency Situations from a framework contract for 45 of these twin-engine medium-size helicopters. “With our presence at KADEX-2012, Eurocopter is highlighting the company’s deployment of major industrial capacities for the Kazakh aviation industry, laying the groundwork for the development of a new, highly specialized sector in this country,” said Olivier Lambert, Eurocopter’s Senior Vice President for Sales and Customer Relations. “The Eurocopter Kazakhstan Engineering joint venture is well positioned for future development locally, as we are poised to provide operators with helicopters that are particularly well suited for parapublic missions – including emergency medical services, homeland security and patrol -, Corporate and VIP transportation, along with oil and gas industry”. The EC145s being assembled in Kazakhstan are the rotorcraft of choice in their category, with more than 500 delivered overall to some 100 customers in 38 countries – including the U.S. Army, which has received 200 of the 346 UH-72A Light Utility Helicopter versions planned for acquisition by the military service. In Kazakhstan, the full complement of 45 EC145s covered by the Kazakh government’s framework agreement will be built and customized by the 50/50 Eurocopter/Kazakhstan Engineering joint venture at Astana, with their completion targeted for 2016. Eurocopter Kazakhstan Engineering also will develop local maintenance and training capabilities to support EC145 operations in the country, as well as across the region’s new regional customs union zone, and throughout Central Asia. Additionally, the organization will oversee sales activities for these areas. The KADEX-2012 presence of Eurocopter’s EC725 will demonstrate this 11-metric-ton rotorcraft’s mission capabilities for customers worldwide. To date, military services have ordered 117 helicopters from the EC725/EC225 family for deployment in Europe, Latin and South America, as well as Asia. Eurocopter designed the EC725 from the start as a true multi-role helicopter, capable of performing missions that include search and rescue (SAR), combat SAR, long-distance tactical transport and medical airlift, along with logistics support and special operations. In addition, it is well suited for naval missions. 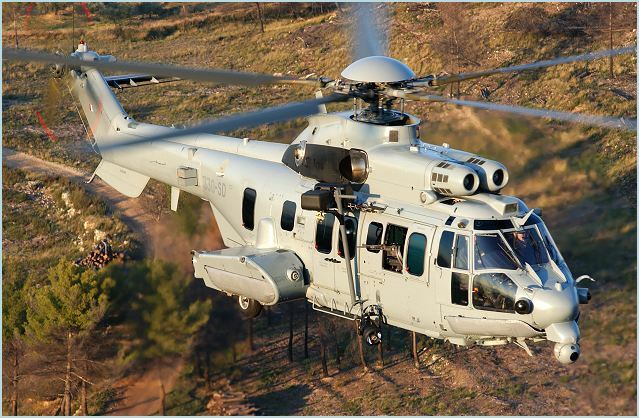 The EC725’s efficiency has been clearly demonstrated by the French “Caracal” version during operations in Afghanistan. Eurocopter’s KADEX-2012 display of its Tiger attack helicopter as a scale model showcases this two-seat rotorcraft’s service with armies of France, Germany, Spain and Australia – including combat action in Afghanistan. With both the Tiger and EC725 Caracal deployed in the Afghan theater of operations, the two helicopters have shown their complementary capabilities.